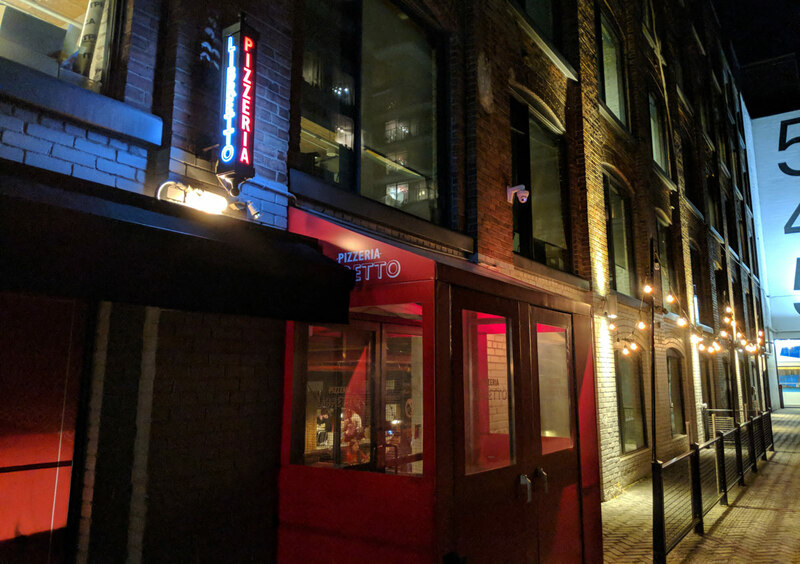 So, here’s a not-so-delightful tidbit: apparently I’ve ruined Neapolitan-style pizza for myself by eating my way through Naples for a week, because I just got a margherita pizza from Pizzeria Libretto, and it was hot garbage. I didn’t think the gulf in quality would be so severe, but absolutely everything about this pizza was wrong. The proportion of sauce was off, but in a really baffling way — the pizza was simultaneously too dry, and too soft. It was weird. The flavour of the sauce was about right (the sauce in this style of pizza is just plain tomatoes, so it’s hard to mess up), but I don’t think there was enough of it. The cheese was okay, but again, the texture was off. It was too dry. It’s hard for me to put my finger on what exactly was wrong, because I’m not a pizza expert, but something was clearly wrong. None of the pizzas in Naples developed brown spots on the cheese like this one, and the texture was slightly rubbery. That’s not right. 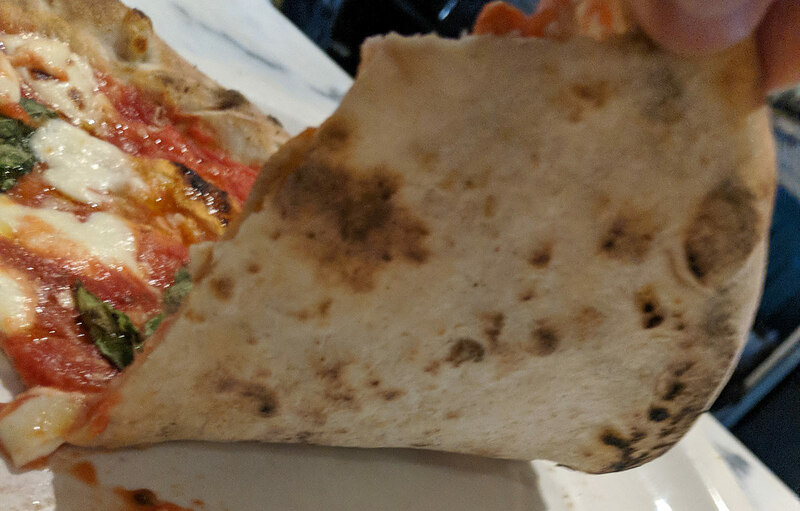 It was insanely bland, and had barely a fraction of the amazing chew that the pizzas in Naples had. It was like Wonder Bread; there’s no there there. Everything else was quite good, at least. 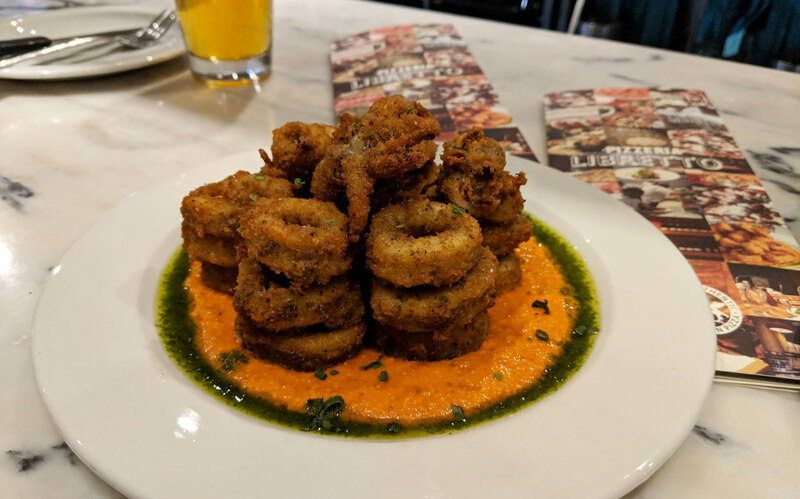 The buttermilk fried calamari featured a perfectly crispy, tasty exterior encasing squid with a great balance of tenderness and bite. It came with some really tasty romesco sauce that accompanied it perfectly. 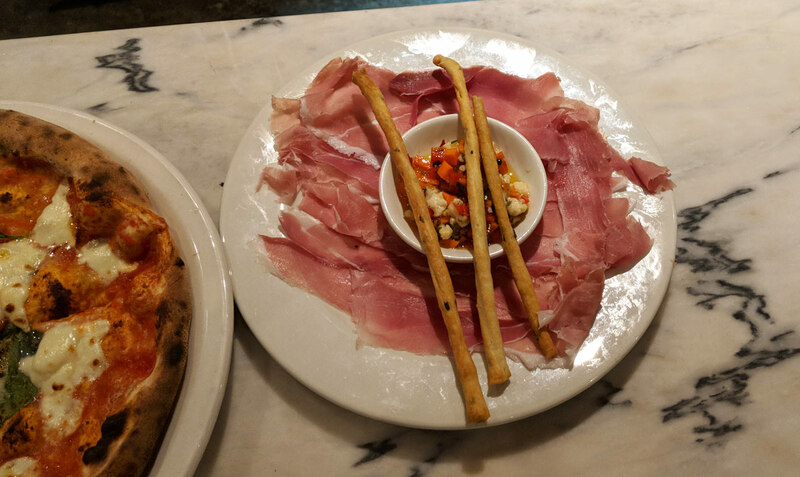 I also tried the Prosciutto di Parma, and like the calamari, it was quite delicious. Granted, all the restaurant had to do was slice it, but it was very tasty nonetheless. But that pizza, though. What was that?? It was disastrously bad. 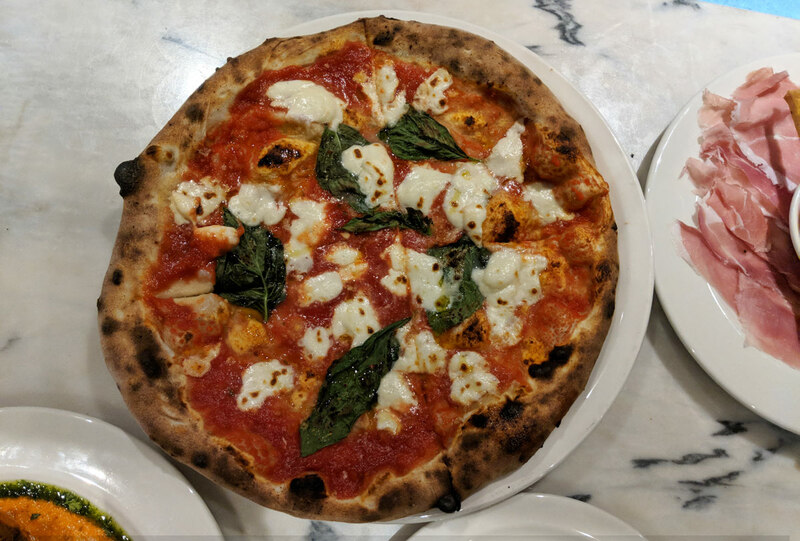 It was like the Neapolitan pizza equivalent of Pizza Pizza. Actually, it was worse than Pizza Pizza, because at least Pizza Pizza knows what it is and doesn’t have any delusions of grandeur.